Southland, the southern-most region of New Zealand, is also that nation's most lush landscape and a wonderfully unspoilt destination. This is an area of pristine beaches and rich farmland and many travellers choose holiday accommodation on farms to get a typically Kiwi experience but there is a wide variety of holiday rentals available that make Southland a terrific holiday destination. There is a strong Scottish influence in Southland dating back to the early 19th century when immigrants arrived here in their thousands to settle what they considered a new land and found a rich, green landscape familiar to the one they had left. 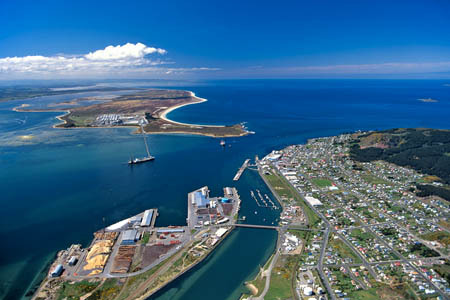 The Scots founded Southland's two biggest towns Invercargill and Gore, both of which are small even by New Zealand standards - Southland is, in fact, is one of NZ's most sparsely populated regions but what the area lacks in people it more than makes up for in natural attractions. 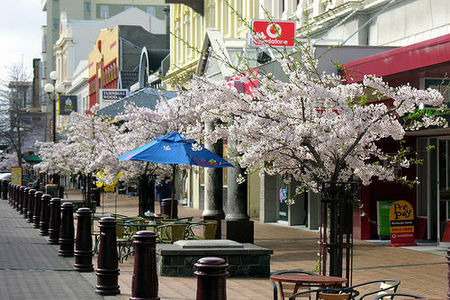 Invercargill is a lovely place in which to find holiday accommodation and a great base for a visit to Southland. 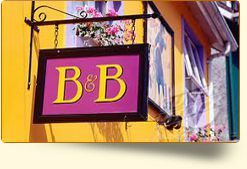 The town's architecture is splendid with beautiful Victorian and Edwardian buildings, gardens and landscaped parks. Its art gallery and museum has top-class displays of the flora and fauna of New Zealand's sub-Antarctic islands and a unique live display of the native tuatara, a lizard-like reptile related to long-extinct dinosaurs. 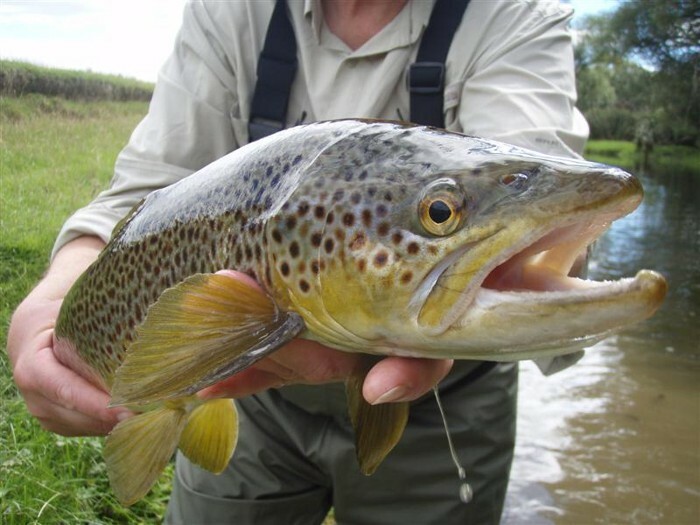 Gore, some 64 kilometres northeast of Invercargill, is renowned for its superb fishing, thanks to its location on Mataura River with plentiful brown trout - look for the enormous fish statue in the river. The town is also considered the country music capital of New Zealand - the annual New Zealand Country Music Awards are held here annually. And Gore is just as famed for its Hokonui moonshine whiskey, first illicitly produced during the prohibition era of the 1800s and now inextricably linked with the town. Another terrific attraction near Gore is the Croydon Aircraft Company and its restored vintage aircraft - visitors can even take to the skies in a vintage plane. For art lovers, Gore is a must, particularly the Ralph Hoetere Gallery devoted to the work of one of New Zealand's greatest living artists. 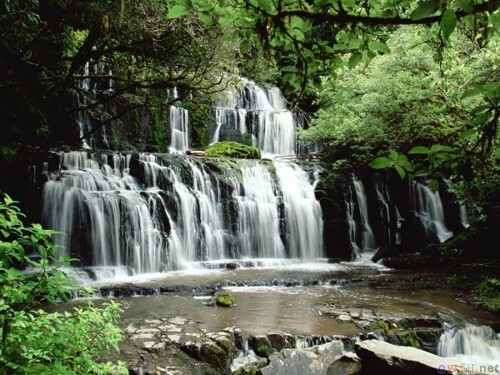 The Catlins, on the Southland coast, is a national park and an area of stunning scenery, magnificent rainforest, native wildlife and archaeological significance. The waters off the coast are brimming with fur seals, Hectors dolphins, sea lions and yellow-eyed penguins and the rocky bays, inlets and estuaries offer marvellous fishing opportunities. On land, a myriad of walking trails will introduce visitors to the forest and native bush that shield hidden lakes and waterfalls, and provide truly breathtaking scenery. Catlins is also the location of the discovery of fossilised remains of a Jurassic fossil forest on the beach at Curio Bay. The fishing port of Bluff, the oldest settled European town in New Zealand, is the home of the famous Bluff oyster - the town's annual seafood festival takes place every May when all manner of crustaceans and other seafood are consumed daily. 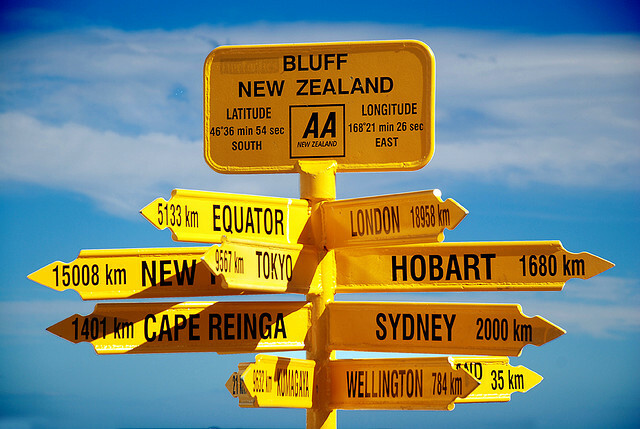 Make sure you get your picture taken at Stirling Point, NZ's answer to Land's End in the UK and enjoy the panoramic views from the viewing platform on top of Bluff Hill. 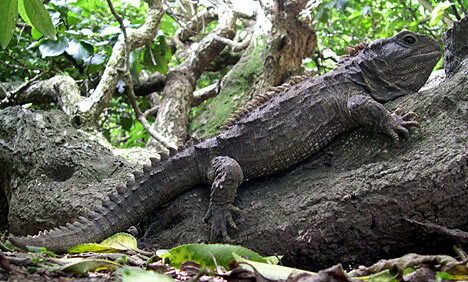 Bluff is also the main ferry port for the natural wildlife haven that is Stewart Island. In the words of the song by New Zealand band Crowded House, visitors to Southland can often expect four seasons in one day! Southland has a temperate climate with warm summers and cool, wet winters. In summer, maximum temperatures range from 16-23°C, but can sometimes go as high as 30°C. Winter is cool with temperatures between 8°C and 12°C. 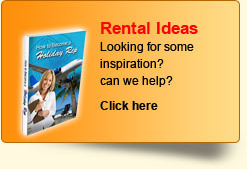 Make sure you don't leave your Southland holiday accommodation without a jacket, summer or winter! 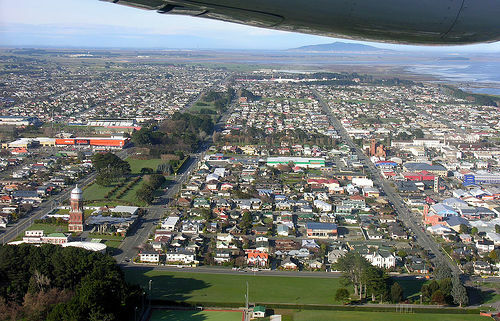 If you're flying into Southland, Invercargill has up to 10 direct daily flights from Christchurch and Wellington, with links onward to New Zealand's other major towns. Car rental is a great way to see this region with good road links to all the towns and attractions, and there are also good bus services for those travelling round Southland on a budget.